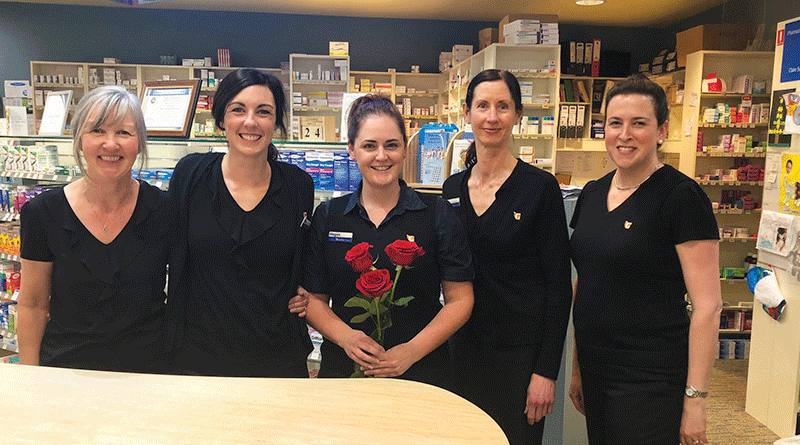 LOCAL cystic fibrosis charity 65 Roses has received a $500 donation from Bellerive Quay’s Guardian Pharmacy as part of a new business-led initiative that seeks to offer a lending hand to those who need it the most. 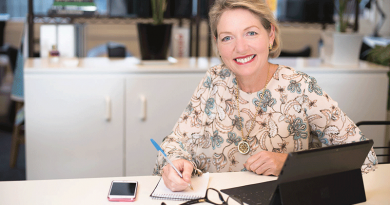 Cystic Fibrosis (CF) Tasmania executive officer Paula Wriedt said that as a small charity with no government funding, this type of support was very important to help the work that they do. 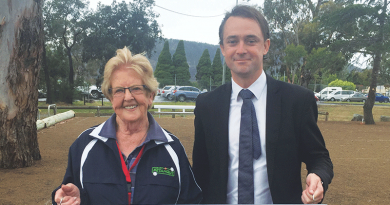 “We support all families in Tasmania whose lives have been impacted by CF,” she said. “This donation will assist us with buying lifesaving medical equipment such as nebulisers, which are needed by CF patients to keep their airways clear of thick, sticky mucus. 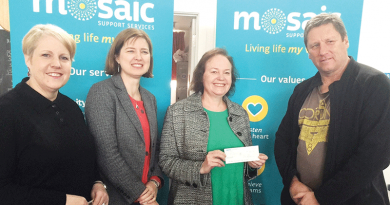 “Every year, we find ourselves amazed at the generosity of Tasmanians. Since then, the term has become a symbol for those battling the life-threatening genetic disease. Bellerive Quay’s pharmacy owning manager Claire Sutton said the pharmacy didn’t have to think very hard about which organisation to donate to. “We have a very young patient visit us every week for medication – little Scarlett is only four years old and suffers from cystic fibrosis,” she said. “At Guardian, we thought it would be nice to help her into the future, which charities like 65 roses strive to do. “We just needed to think about something that was relevant to us and we thought this was a great opportunity to give back to the local community and help little Scarlett on her health journey. The Guardian Pharmacy in Bellerive is situated at 46 Cambridge Road and is open from 9am-6pm Monday to Friday and 9am-12noon on Saturday. Caption: From left, Lynn Foster, Ellie McAllister, Megan Gasson, Cindy Scott and Claire Sutton.